Palm Community :: View topic - CS Online running on .. a wristwatch! CS Online running on .. a wristwatch! Posted: Fri Dec 09, 2005 3:44 am Post subject: CS Online running on .. a wristwatch! 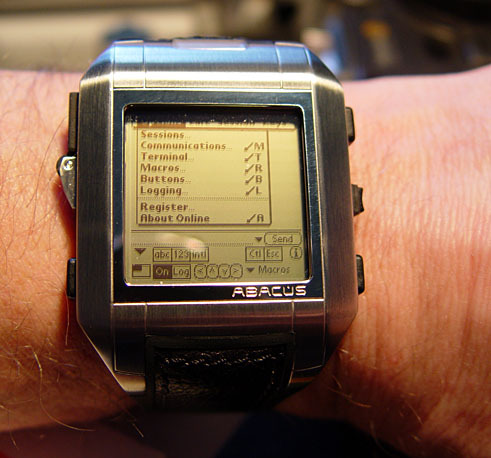 And now for something completely different, here's CS Online running on a Fossil Palm-powered watch! You never know when you might need to do some covert IR communicating or debug an IR interface, so rest easy, knowing that CS Online's got your covered.